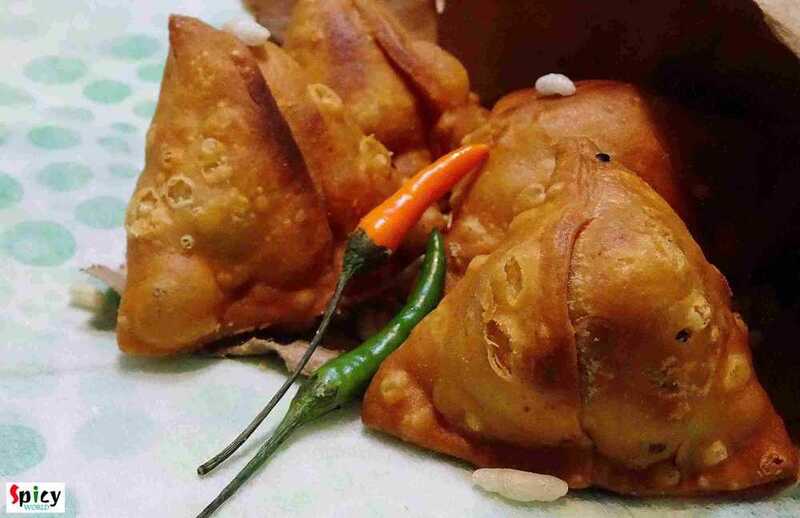 In India samosa is a very popular appetizer. We call it "singara" in West Bengal. 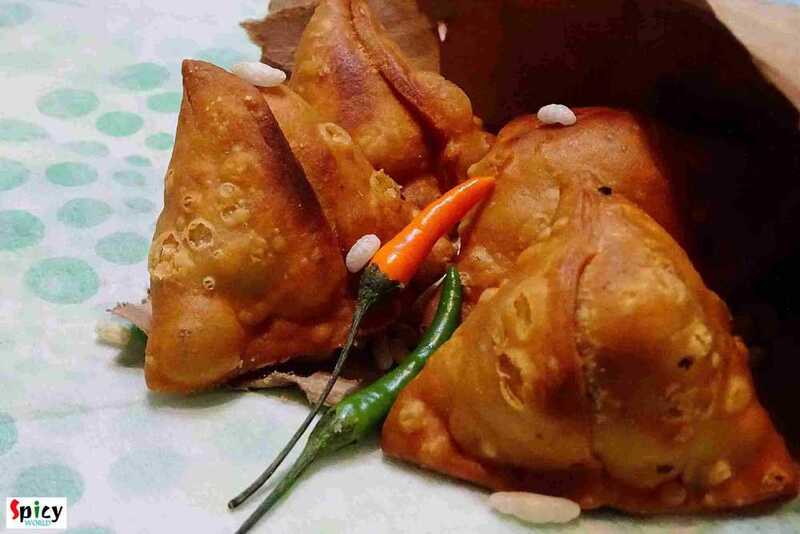 Almost every evening my grandpa brought samosas from roadside shop and they were delicious. Last week I made samosas at home (inspired by my mother and husband) and they came out really tasty. 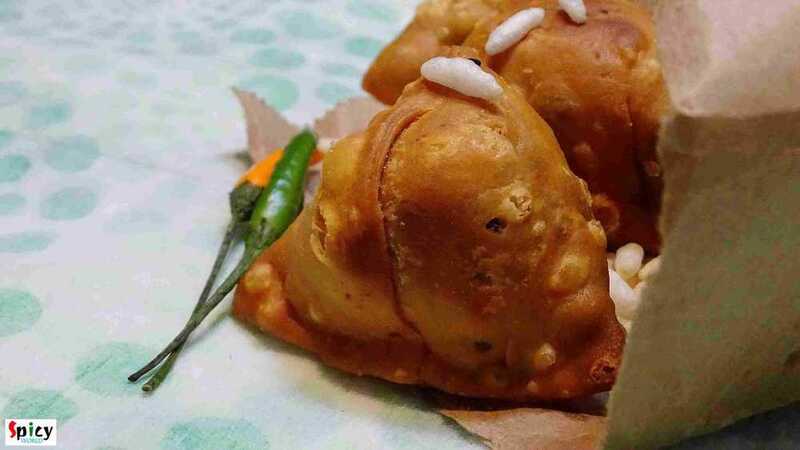 So, please try this recipe at your home and impress your family. 2 large boiled, peeled potatoes. 1 cup of all purpose flour. 2-3 Tablespoons of ghee / clarified butter. Few nigella seeds / kalojeera. 1/2 Teaspoon crushed coriander seeds. 1 Teaspoon chopped green chilies. 1 Teaspoon dry mango (amchoor) powder. 1 Teaspoon red chili powder. Take 1 cup of flour in a bowl. Add some salt, 2-3 Tablespoons of melted ghee and few nigella seeds. Mix all this with your hand for 3 minutes. Then gradually add little warm water into flour and mix it. Do not add water at a time. Go for little by little. Make a semi hard dough. Knead the dough very well for 10 minutes. Cover the dough with a damp cloth for 20 minutes. Make sure you boil the potatoes in little water. If the potatoes absorb lots of water it will ruin the dish. Crumble the boiled potatoes with your hand. Dont make it mushy. Take a pan and heat 2 tsp oil. Add cumin seeds and crushed coriander seeds in hot oil. Saute it for a minute. Then add chopped ginger and green chilies. Saute it for 1 minute. Add the half mashed potatoes and boiled green peas. Saute it for a minute. Then add all the powder and some salt. Mix it very well for 5 minutes. Add coriander leaves. Mix it again for 3 minutes. Keep this mixture aside and let it cool down completely. Now knead the dough again for just a minute and make medium size balls from it. Flatten a ball to a 6 inch circle. The circle should not be too much thin. Take a knife and cut the circle to 2 semi circles. Take one end in the center. Then overlap it to the another end for making a cone. Press the two edges gently. You will get a nice cone. Put 1 Tablespoon of the potato mixture into the cone. Dip your finger into water and apply some on the edges. Make a plit on the opposite side of the sealed side. Now seal both edges by pressing them gently. Make rest of them in same way. That last plit will help the samosa to sit properly. Put the samosas into medium hot oil. You have to fry them for approx 10-12 minutes. Otherwise they will not become crunchy. Fry them golden in color. Remove them from oil and keep on a paper towel.